Click on the paper title to view abstract. Eva Hayward, Gender & Women’s Studies at the University of Arizona, Tucson. Looking at the artwork of Ellen Gallagher, this talk asks how race and racial thinking have shaped our understanding of seawater, oceans, and undersea life. Problematically, oceans are often deracinated in science studies, art history, and cultural studies, reinforcing an unspoken assumption that the politics of race stop at the shoreline. In her ongoing project titled Watery Ecstatic (2001-present), Gallagher juxtaposes Sun Ra’s afro-futurism and Freud’s often-overlooked interests in oceanography (a researcher of marine zoology in Trieste) with her own studies of the mythical Drexciya, an undersea world populated by those who were murdered or committed suicide along the slave routes of the “Middle Passage.” Through these paintings, reliefs, and drawings, Gallagher asks us to reflect on the relationship between Freud’s “oceanic feeling” and geopolitical trauma. How has ocean life become a melancholic domain for what cannot be remembered? In what ways does race shape marine matter(s)? Zakiyyah Iman Jackson, Department of English at George Mason University. In a reading that pairs Frederick Douglass’s political speeches and 1845 Narrative with Toni Morrison’s Beloved, my presentation attempts to clarify the nature of the proximity between blackness and animality at the intersection of evolutionary theory and abolitionism. My paper will scrutinize debates concerning delimitations of species and sentiment at the turn of the century. Investigating black literary responses to the reciprocal production of discourses of blackness and animality, I argue that the existential predicament and mythic time of blackness suggests new objects and approaches for queer studies, feminist new materialism, and posthumanist animal studies. Funding for this event has been generously provided by Science and Technology Studies, the Institute for Social Sciences, and the Departments of Anthropology and English at UC Davis. The deadline for individual and panel submissions has been extended to Friday, February 12, 2016. Individual abstracts should be no more than 300 words and include your name and institutional affiliation. Panel proposals should be no more than 750 words and include a description of the panel topic and title as well as the names and institutional affiliations of each participant. Submit abstracts and proposals to EcoMaterialismsCollective@gmail.com. Submit abstracts and proposals to EcoMaterialismsCollective@gmail.com by Friday, February 12, 2016. Funding for this event has been provided by UC Davis Science and Technology Studies and the Department of Anthropology. 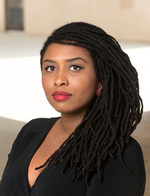 The EcoMaterialisms Collective began during the 2014-15 academic year at UC Irvine, representing graduate students and faculty from nine departments across the School of Humanities, Social Sciences, and the Claire Trevor School of the Arts. During that year, we conducted an interdisciplinary engagement with the fields of ecocriticism, critical environmental studies, and the so-called new materialisms. This work culminated in a graduate conference titled “EcoMaterialisms: Organizing Life and Matter” (for more info: lifeandmatter.wordpress.com). A result of that conference was this year’s inter-UC collaboration with participants from Davis, Irvine, Santa Barbara, and Santa Cruz. This year’s trajectory falls along a three-part nexus: histories and theories of the organism in the fall quarter, of ecologies in the winter quarter, and of cosmologies in the spring quarter. Our goal is to inquire into the role of scale in new materialist discourse and practice, what structures it, what it excludes, what’s at stake, and so on. The conference CFP will be distributed late November/early December.